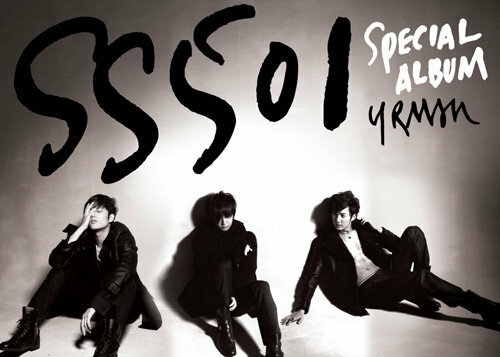 SS501's leader Kim Hyun Joong will release his first individual photobook in Japan. Japan's KJ-net has announced that Kim Hyun Joong will be releasing his own ever photobook consisting of his oozing charm "Kim Hyun Joong's 1st Premium DVD & Photobook -- The First Love Story" whose release date has been set at October 29. Through this photobook, with Kim Hyun Joong's First Love Story as the theme, Hyun Joong's charisma will be presented before your eyes in the DVD like the form of a movie, where in the DVD, you would also get to see his maturing stages through the years and interesting stories during his debut period that was never disclosed; in addition, an honest interview with him would also be inclusive. This pictorial comes in a package of 2 DVDs and 2 pieces of Photobooks. Pictorial shooting locations would cover across Indonesia's Bali island, some churches there, and of course not forgetting location shoots in Japan too, some scenes would include the sea as its background as well. Not only that, in the upcoming August 19 and 20, there will also be a 2D1N tour in Shizuoka, this tour will entourage around the pictorial's shooting location. In its final addition, on October 11, Hyun Joong will also have a fanmeeting in Tokyo Dome City's JCB Hall in commemoration of the release of his pictorial book. Contents: 2 DISCS, 100-P Photobook, 30-P Photobook, Enclosed in a special box. Advanced preordering begins 2010, June 23 (Wednesday), 12 AM onwards. August 19~20 : Entourage around shooting location; 2D 1N. October 11 (Mon) : Fanmeeting @ Tokyo, JCB Hall. 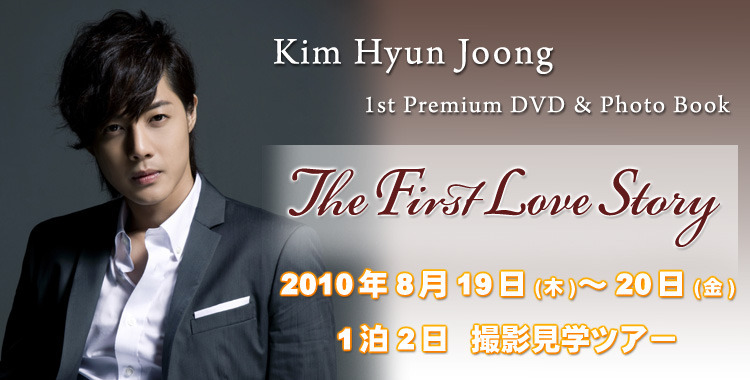 October 29 : 『Kim Hyun Joong's 1st Love Story Photobook & DVD』 on sale.